Hi! I started this blog, Brainwashing Children, as a result of my success in fighting off a vicious campaign to completely sever my relationship with my son. He was taught to dismiss our relationship, dread upcoming visits, and denigrate our father-son bond that had existed for years. This blog speaks from experience: that of an all-out-war against our relationship. I am not a Ph.D. or child therapist who has studied the topic but never experienced it first hand. Rather, the articles in this blog and my book are the result of techniques I came up with that successfully reversed my son’s alienation. Since the professionals won’t help others unless you fork over hundreds and thousands of dollars, I’m here to fill that gap. 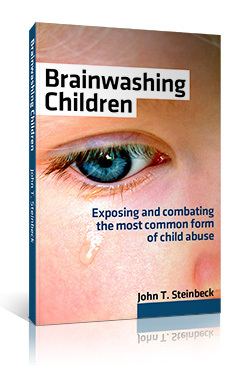 Too many children are being mentally abused, and parents need some solutions. Now. In this blog I share my insights, tips, and techniques gained over the years of turning my son’s contempt and anger around. Today, others who view my son and I interact mention how they would have no idea what we went through, that we seem like a normal father and son. We made it through the character assassination, and today our relationship is respectful and loving. My goal now is simple: I’m passionate about helping YOU TOO (and by extension, your children) effectively understand and counter your ex who’s trying to turn your own child or children against you. Your son or daughter wants you to fight for them. The road to win back their love isn’t a short or easy one, but one day it just might be the most rewarding effort you ever put forth in your life. Lastly, whatever you do, never give up!